What is a Hollow App Install? Years ago when Hotwired made history by running the first display ad (which got a 78% "Click-Through-Rate"), it made sense to count an ad impression as the unit of advertising value exchanged for real-world cash. After all, display ads were the online equivalent of billboards, which were a well-known advertising staple, only display ads ran along the sides of the gleaming, new internet superhighways (though the seizure-inducing, flash-loaded websites of the 90s certainly may not seem gleaming in retrospect). Years later with the advent of Google's CPC advertising model, it made far more sense to count an ad click as the unit of advertising value that should be exchanged for ad dollars, rather than an impression; after all, just because someone (may or may not have depending on the placement) seen your ad at the side of a web page, doesn't mean that it caused them to buy from you or even interact with your brand at all. Paying per click was much more preferable as a guarantee that a user at least visited the target website before an advertiser paid Google. Next, as the App Stores took prevalence of user eyeballs and thus advertising dollars, it made far more sense to count an app install as the unit of advertising value that should be exchange for ad dollars, rather than a click; after all, just because a person clicked to your app store listing, doesn't mean they actually downloaded your app. 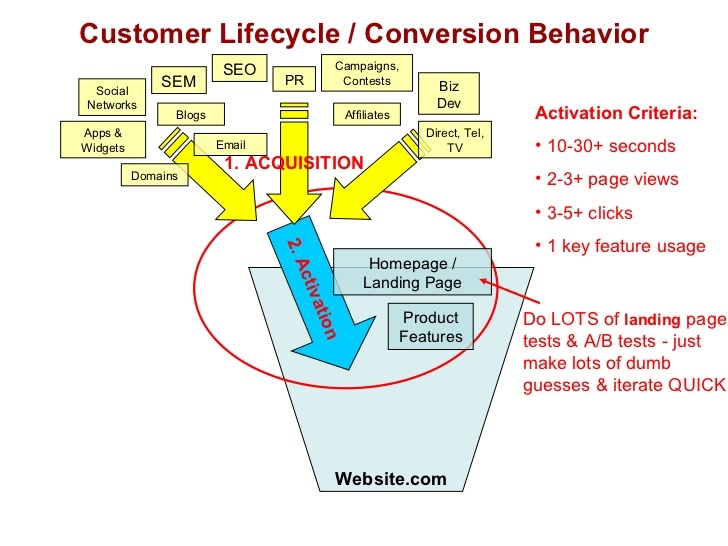 Thus spawned the mass of mobile marketing vendors providing CPI-based advertising buys. Additionally, the more installs you received or paid for, the better your app ranking - something unique to the world of apps (i.e. top charts and keyword ranks) vs websites (i.e. search advertising clicks do not improve your SEO ranking), meaning that not only did you acquire an install from a new user, but each new install produced a multiplier effect of increasing your visibility and hence gaining even more users. This worked for a little bit while there were relatively few apps in the stores, but as competition increased, advertising dollars poured into app marketing, leading to advertising inflation and an increase in the "price of admission" to top charts. Simultaneously, app marketers discovered that apps, while highly profitable, were by and large also leaky buckets literally filled with holes through which users poured out. 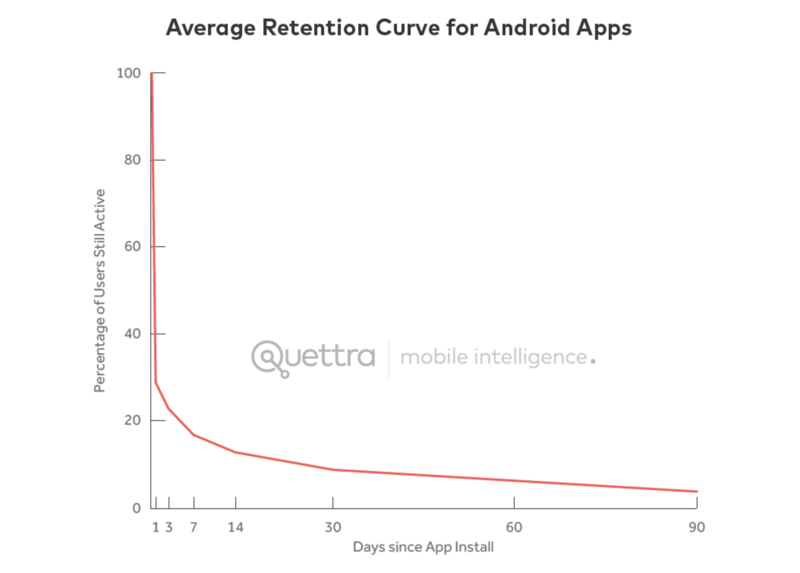 According to a study by mobile marketing guru Andrew Chen and mobile intelligence firm, Quettra, losing 95% of an app's users within 90 days is considered normal. This has created the concept of "hollow installs," meaning the users who install your app, only to pour out of a hole without creating any additional value for you (i.e. no new users referred, no review written, no purchases made, no ads clicked, poor retention and quick uninstalls). While hollow installs do provide a small amount of value by increasing your app's category and keyword rank by some small, dynamic percentage amount, they do not provide anywhere near as much value as engaged installs and are as such a drag on marketing ROI. 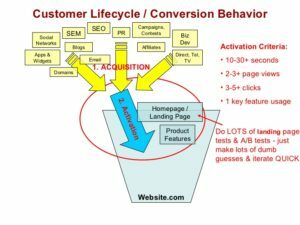 Hollow installs can also be understood as non-activated or retained users, looking at growth hacking thought leader Dave McClure's user acquisition model of AARR (acquisition, activation, retention, revenue). How do I Prevent Hollow App Installs? Thanks for reading today! 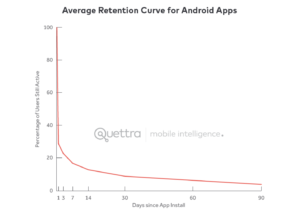 Stay tuned to the Incipia blog for strategies in reducing the number of hollow app installs your app receives (coming soon), and subscribe to our email list for more app store optimization tips, tricks and hacks.